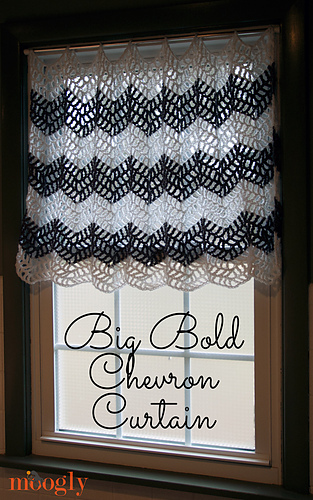 If you’re looking for a longer curtain, it’s easy to just keep adding rows in the pattern… all the way to the floor if you like! 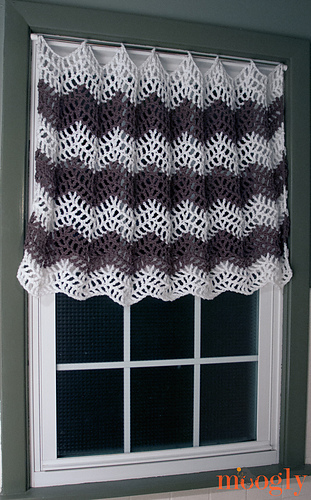 If your window is a lot wider, make 2 and they’ll open like traditional panel curtains. 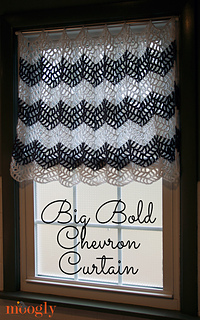 The Big Bold Chevron Curtain is the perfect crochet curtain pattern for the bath, bedroom, kitchen, living room - any room of the house!